Every carpet is different: the style, the colours, the type of the fibre, etc. But all carpets have a single thing in common: they all require maintenance and carpet cleaning. What better way to have this addressed than to hire our professional carpet cleaning service? Local Cleaners Richmond is a company with years of experience in the cleaning industry. We put great emphasis on our carpet cleaning service since we understand just how important it is. Without proper care, a carpet is going to lose its character pretty fast and become breeding ground for germs and bacteria. Thanks to us, that is one scenario you won’t have to worry about. We provide professional carpet cleaning in Richmond and the surrounding London areas. With our experienced and knowledgeable staff, we offer exceptional cleaning services in all of Richmond. Our work is based on principles of consistent quality, carpet care experience and customer satisfaction. We use the best method to clean your carpet—steam cleaning. 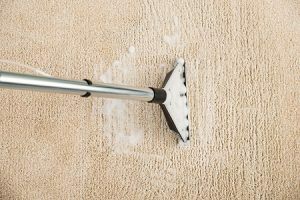 This method removes toughest and deepest dirt safely and in a gentle manner, that does not spoil your valuable carpet. The powerful suction delivered by this method is able to remove 95% of the moisture, dirt, allergens, and the cleaning solution. It is by far the best cleaning method that carpet manufacturers recommend. From our experience, we can safely say that it is the best way to clean carpets. There is one thing you have to remember when you hire our steam carpet cleaning service: there is some drying time after it has concluded. Your carpet may take some time to dry but this depends on humidity, and amount of airflow into the area. In most cases, it takes between 8 and 24 hours to dry completely. Leaving your AC, fans and heating systems on may also enhance drying period. You may walk on the carpet after cleaning but avoid wearing shoes as they may re-soil the fibres. While we take every possible precaution during our work, we are happy to collaborate with you to correct any situation that may arise. We can spot-clean specific areas or re-clean the whole carpet to meet your satisfaction. Such is the satisfaction guarantee that our company employs. The service we offer is of high quality, as many in Richmond have already had the chance to experience. Thanks to our advanced cleaning method, you can reduce the amount of allergens in your home and ease your allergies. It is also a superb way to maintain the area clean if you have children who like to play on ground-level. Local Cleaners Richmond is the number one company you can always rely on. Don’t even think twice, call our cleaning company Richmond on 020 3912 1180 and ask about our carpet cleaning in Richmond.